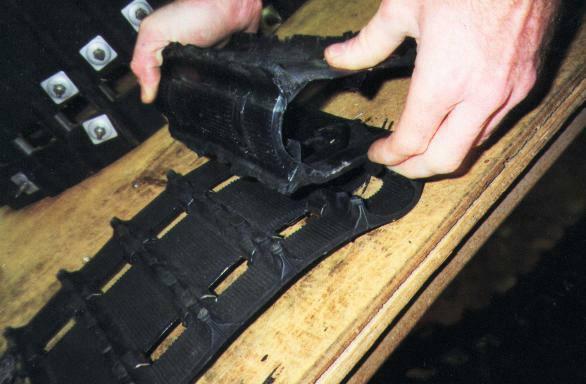 Need a repair quote for your damaged rubber track? Do you have a �crazy� style track that you have been dreaming about for years? Tracks that will make you stand out from the rest. How about a shorter track, or better yet, a longer track? How about a skinner track, for the people who are concerned with having less weight. How about 3-inch paddles, so you can make it up the hill higher than all your buddies. Whatever you can dream up, Carroll Tech can make a reality! It was a cold February night in 1997, two days before a dream snowmobile vacation to Canada. Three of the four machines had been completely inspected, maintained and were already loaded on the trailer. The last of the machines, my fathers 95 XLT Special, was still in the garage. I performed all of the usual maintenance, and everything seemed to be in perfect shape. All I could think about was the awesome vacation that lay ahead of us. My final step was to perform a track inspection prior to loading the sled up. I spun the track slowly while examining it for damage. I was just about all the way through the inspection, when suddenly, there it was! I found a ripped out stud on the outer section of the track. It was bad! Suddenly my dreams of happiness and joy turned to sorrow and misery. My heart sank into my stomach, and I felt like I was going to be sick. I barely had enough money to embark upon the trip, I couldn�t afford a new track, and I was running out of time. I was absolutely devastated!!! 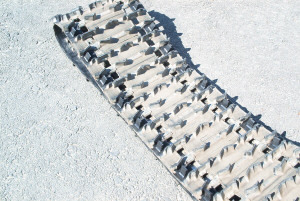 Not only was I looking at spending $450.00 on buying a new track, I also was faced with having to take out all of my old studs and reinstall them in a new track. I could have purchased brand new studs, that would have cost another $400.00, not to mention all the work of removing the track and replacing it. In a panic, I called my local dealer and told him I needed a new track. He proceeded to tell me that he was out of tracks and the only way that I could get one in time, was to overnight it, costing me $100.00 for overnight shipping. He also added insult to injury by stating that he couldn�t even supply the track that I desired, and I would have to compromise on a less quality track. Again, I began feeling sick. There I was standing in the garage, I was so HOT that my face was beat red, steam was coming out of my ears, and my hair was on fire! I thought to myself, THERE HAS GOT TO BE A BETTER WAY!!!! These pictures clearly demonstrate some of the custom work that we have performed. This gentleman races water cross. He desired to have anti directional lugs placed in between his standard lugs. This was an attempt to control the machine from sliding sideways while racing around the oval. Another example of how we truly can deliver just about anything that you want. We do custom Track Repair work too. 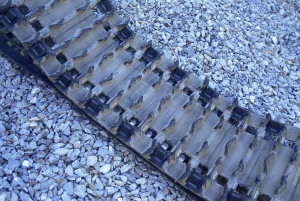 We took two XC 120 tracks and cut them in half.. Making our client a deep powder track for his sons custom machine..
We performed this work 5 years ago and this little custom track is still in service today..
We have done it again... We have manufactured yet another longer XC 120 track. 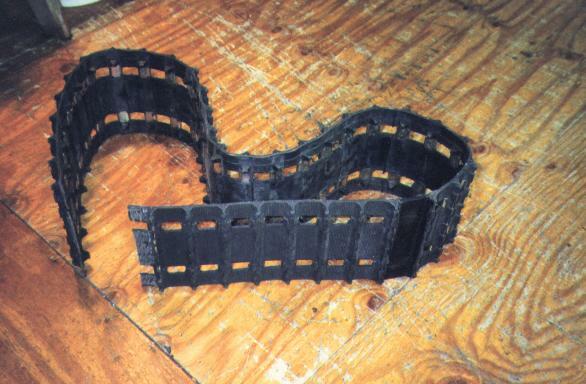 We proudly custom manufactured these deep lug mini tracks (below) for a gentleman and his two sons in Michigan. Our deep lug tracks provided the winning edge that his sons needed to clinch the Championship. His sons talent combined with Carroll Techs AWESOME custom products created a "Deadly Combination". We can safely state that these custom tracks gave his sons machines a 25% ~ 45% increase in performance... We ourselves were not lucky enough to actually be at the race.. However, we were informed that the performance of the tracks simply, ROCKED !!! Carroll Tech custom manufactured tracks for a defense contractor. 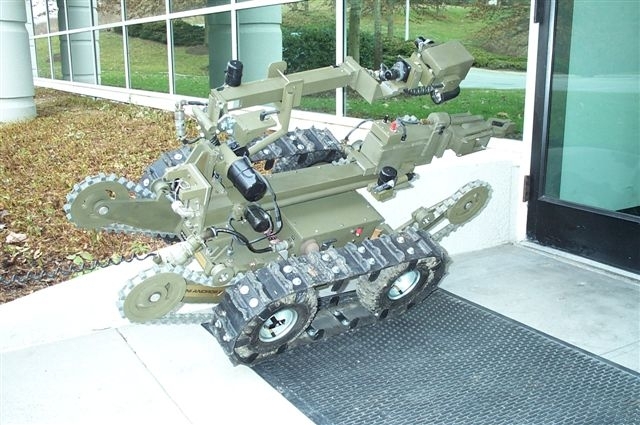 These cool little remote control robots, extract bombs from obscure locations, fire shot guns, and unleash other deadly force (not to mention). These machines save lives of our men and women in the military.